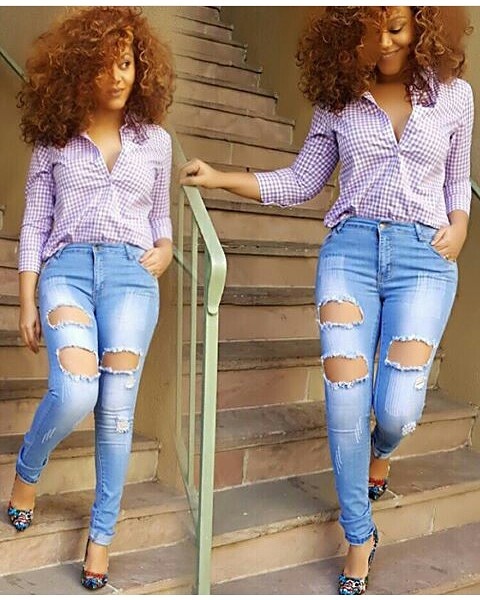 12 fierce ways ro rock ripped jeans with photos.. - BlogIT with OLIVIA!!! Home / Fashion / 12 fierce ways ro rock ripped jeans with photos..
12 fierce ways ro rock ripped jeans with photos.. It can be rocked with a crop top, or a properly designed jacket . A normal tight fitting top can also be worn on it and of course a matching heeled sandals or shoes. It all bodes to the occasion one is heading to. Below are pictures on how you can style them without much difficulty. awesome....is good on light skin girls,some girls are so pretty.